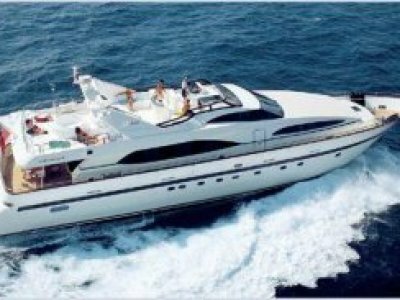 SUPERNOVA has has been maintained with an open checkbook. She was recently repainted and literally shines. 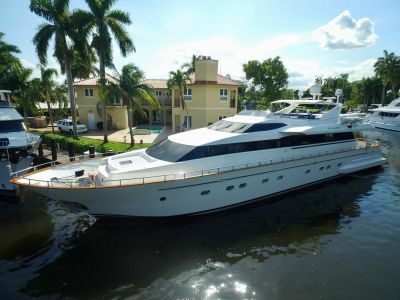 A superb and finely customized 100' Hatteras featuring four Owners Staterooms and six heads, SUPERNOVA boasts an elegant with her Full Beam, Master Stateroom situated mid-ships on the lower deck and features a King size bed along with his and her baths. Her soft goods and many of the electronics have recently been redone and she boasts the warm and rich feeling of Cherry wood throughout. 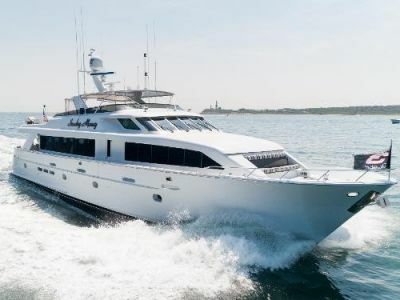 With separate Crew Quarters aft and a private entry, this yacht promises to be the absolute in privacy and luxury for the aspiring 100 foot buyer. 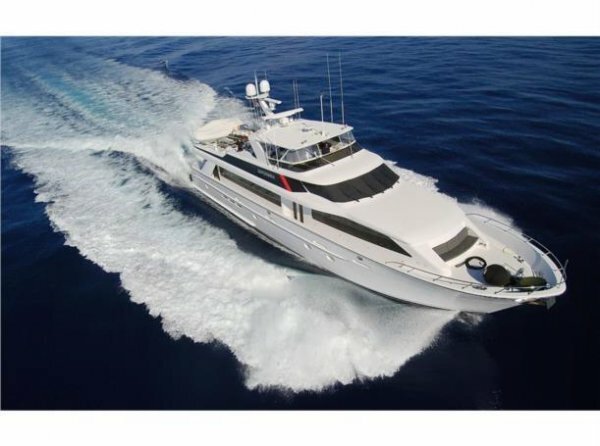 The spacious walk-around decks and large entertainment areas give the feeling of a much larger yacht and provide 360 degree access. 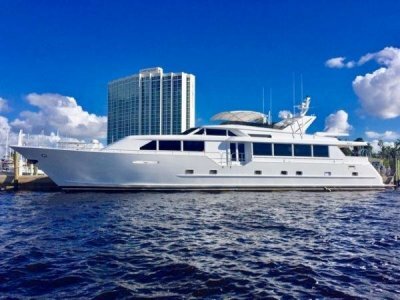 The 100' Hatteras is renowned for its sturdy solid fiberglass hull construction and excellent sea handling capabilities, especially when faced with adverse weather conditions.